I'm going to make a concerted effort to blog more. I love instagram with its quick bursts of info on the go but blogging is my first love and I am aware that many people aren't actually on instagram or Facebook and rely on blogs. 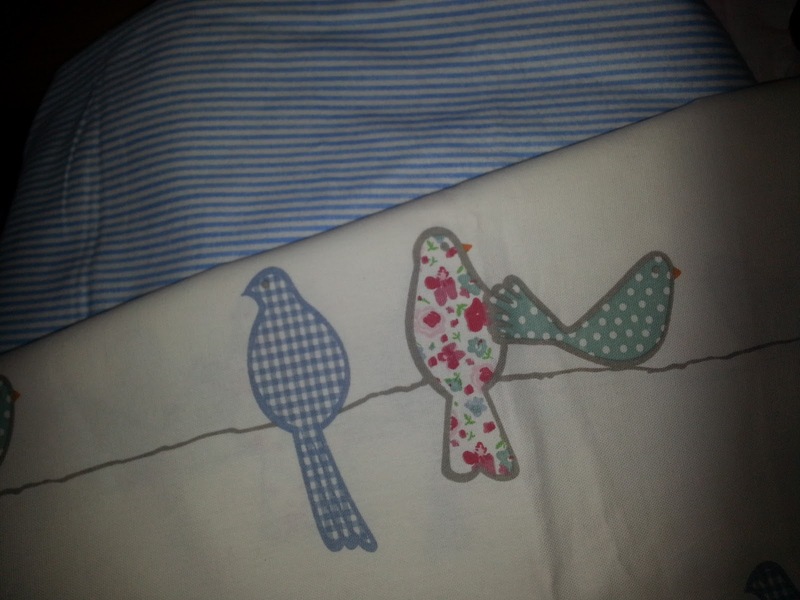 Miss Amelie will soon be getting a doona cover made from this cute birdy fabric and lined with soft flanelette. I bought this fabric quite a while ago and stashed it and finally this week I hit on the perfect project for it. 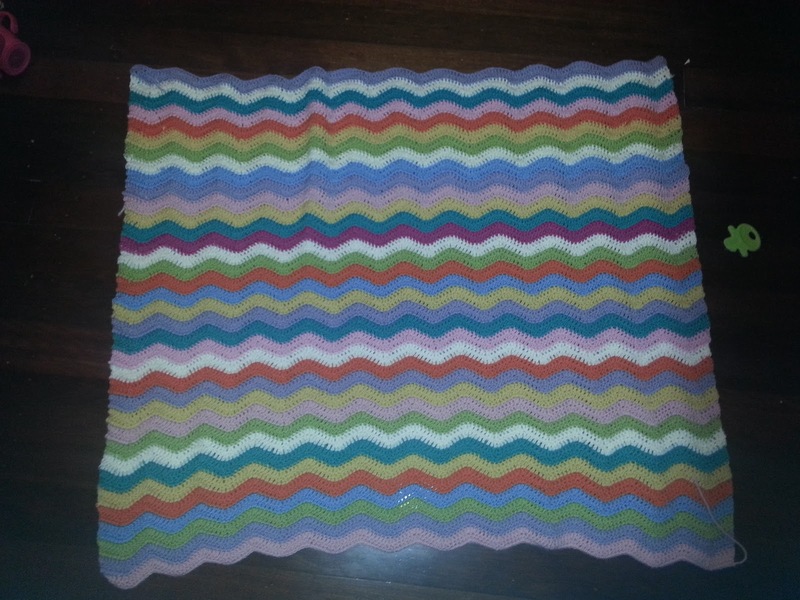 I've been working on this ripple blanket for a while. 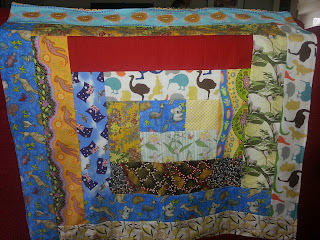 It is for a friend's baby and it is nearly winter here so I need to crack on and finish it. I've now made 5 of these Aussie themed baby wraps and bubs in England and Canada will soon be wrapped in them. 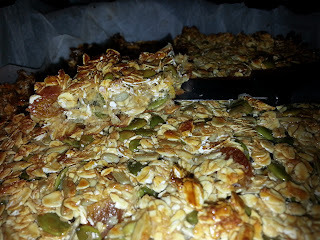 This is a yummy homemade muesli bar I've started baking for the little Guy's school lunches. Very yummy, endless variations and nut free as the school policy dictates. And I've been walking! My last new year's resolution was to do some exercise and I've finally found a way that fits in with all our routines. Twice a week I walk up to the school to pick up Guy and we then walk home. It's a 6km round trip and I do it pushing Amelie in our big pram, all up hill on the way there and downhill on the way home. We have been trying to do a family walk on the weekends too. So I needed some sweet new shoes so as not to ruin my feet.As I spend the mamajority of my day in ballet flats or thongs I needed very minimal and flexible shoes. 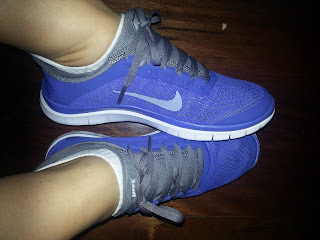 Hopefully these will do the trick. 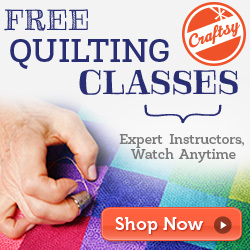 Love the birdy material! Lucky Amelie. And good job on all the walking! 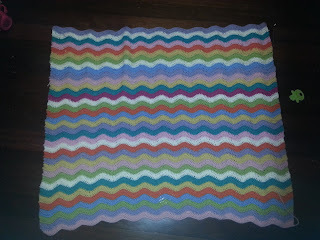 The ripple blanket is lovely, my MIL made one of those for one of my sons!